First Impression: Taming a unicorn requires a gentle, firm grip to inspire confidence and trust. Second Impression: What, no one else can see his unicorn? In his opening interview, the instructor leans casually against a tree trunk and makes sure we understand that it was his decision to leave medical school and it’s my life not yours, Dad! Also, he tells a puzzling anecdote about being in a full-body cast and not being depressed, but rather, excited at such a great opportunity to test out the healing energy powers of Qigong. Sounds like they gave him some great drugs in that hospital. 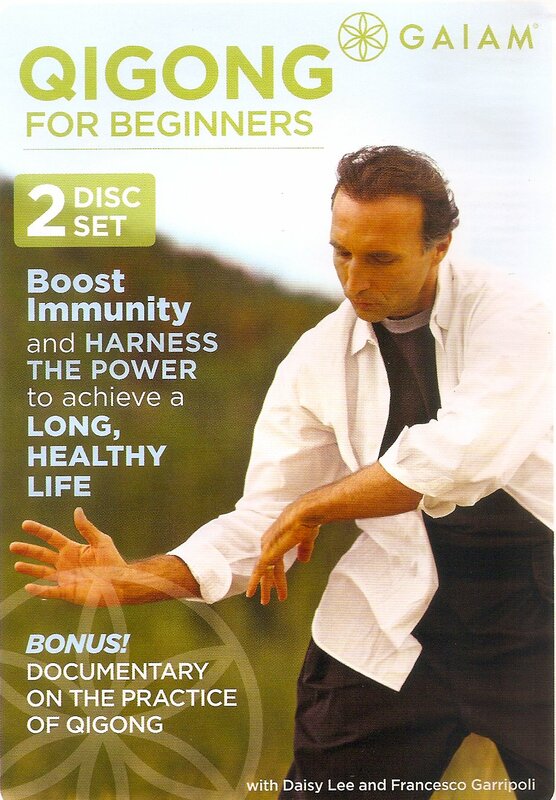 He teaches us the Qigong moves with his wife providing the assist. They wear matching pirate cosplay with baggy black pants and striped belts. They each introduce themselves, and then he interrupts her to start talking again. I swear she shoots him a look that could cut glass. She’s not allowed to speak for the remainder of the DVD, even though she is the one who happens to be from the culture that gave rise to Qigong. I notice on the DVD cover she is credited using her maiden name. They start demonstrating the Basic Principles of Qigong. I know this because there is a title card that says Basic Principles. Also, the instructor’s voice-over intones, “Basic Principles.” I am suddenly aware of how skin-crawlingly pretentious his voice is. The Qigong power couple work through all the forms while standing on a mountaintop in Colorado. The close-up of his face reveals his profound fascination with the mystical wonderment of the universe. Meanwhile, she stares into the middle distance, contemplating the state of their marriage. The final form is called Toss Off Stagnant Chi, which I’ll suggest is an activity best confined to a bath house. It’s actually a scooping throwing motion, like Scrooge McDuck tossing gold coins in his money chamber. Meanwhile, on the mountain in the background, a lone figure appears, twirling in a flowered pinafore. “My day in the hills has come to an end,” she trills. Thank you, Maria Von Trapp. Let’s pack it up, everyone!